ITU’s Member States will soon elect the Union’s top executives at the ITU Plenipotentiary Conference 2018 (PP-18) in Dubai, United Arab Emirates. ITU News is highlighting written interviews (Q&As) with the candidates for each of ITU’s top posts. Below is the Q&A for Mario Maniewicz, candidate for Director of the ITU Radiocommunication Bureau. Many, if not all, of the most salient technologies that have emerged in the past few years, such as mobile communications, the Internet of Things, connected cars and cities, the “Fourth Industrial Revolution”, and Artificial Intelligence depend on telecommunication networks, services and applications, and increasingly rely on radiocommunications to provide the basis for ubiquitous connectivity. Firstly, we must focus on our core competencies. For over 110 years, ITU has regulated the use of the radio‑frequency spectrum and satellite orbits by revising and updating the Radio Regulations at ITU World Radiocommunication Conferences. The process towards approving this international treaty has created a platform for discussion and negotiation where the industry and government administrations can exchange information and converge towards global solutions. Secondly, we must improve the effectiveness of the organization by better adapting to members’ changing needs and improving ITU’s responsiveness to them. Thirdly, we must unite the efforts of ITU’s three Sectors (Radiocommunication Sector, Telecommunication Standardization Sector and Telecommunication Development Sector) to reduce the duplication of work and increase the synergies between the Bureaux. providing timely access to spectrum/orbit resources. My top three priorities are to increase efficiency, transparency and inclusiveness in the ITU Radiocommunication Sector’s activities. Firstly, I would implement a digital transformation to increase the agility of the ITU–R’s processes — in particular by modernizing its databases and practices — with the goal of improving ITU’s response times and achieving consistent compliance with regulatory deadlines. Secondly, I shall ensure that the procedures of the Radio Regulations are applied in a fair and transparent manner. Thirdly, I will improve the Radiocommunication Bureau’s receptiveness to the needs of all members, by further promoting the participation of developing and least‑developed countries, as well as small island developing States in the work of the Radiocommunication Sector, and by providing a neutral platform for all countries to collaborate. It is widely recognized that telecommunications/ICTs are a key enabler to achieving each and every Sustainable Development Goal (SDG), and to building a world where social, economic, environmental, and technological development is sustainable, and available to everyone, everywhere. 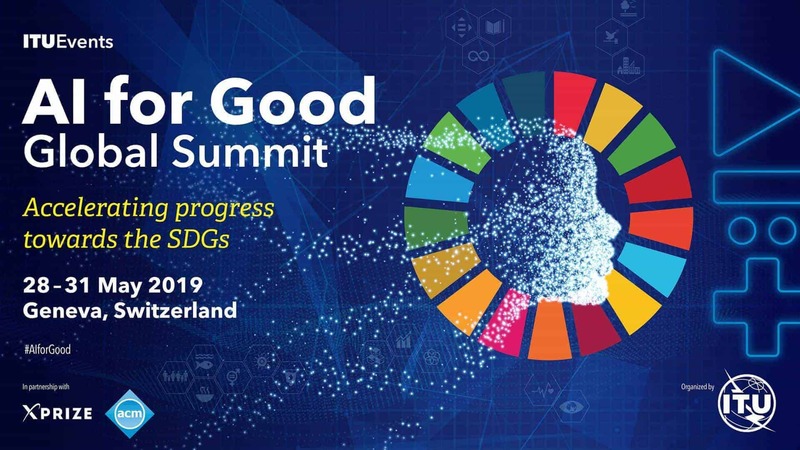 The SDGs, however, can only be realized through the joint and coordinated work of all players and stakeholders, including governments, the private sector, and the relevant multilateral organizations. ITU, being the primary United Nations agency for telecommunications/ICTs, is called to fulfil a leading role in encouraging and coordinating such joint work, by promoting projects and initiatives, organizing fora to discuss and agree on policies and strategies, and advocating at the highest levels to ensure that the necessary resources are allocated by all parties towards achieving the SDGs. I believe my most important leadership achievement is, without doubt, my contribution to the stewardship of the ITU Radiocommunication Bureau as its Deputy Director over the past five years, in particular concerning the improvement of the Bureau’s overall management, as well as beginning the modernization of its processes. A salient example of my role — and one of which I am particularly proud — was my leadership of the overall organization of the last World Radiocommunication Conference (WRC‑15), in the context of which I was appointed as Secretary of the Plenary and of the Conference’s Steering Committee. This major treaty‑making conference lasted four weeks, and was attended by over 3500 participants. Moreover, I also remain proud of my engagement in past roles. For example, during my time in the ITU Telecommunication Development Bureau (BDT), I led the organization of the Global Symposium for Regulators, ensuring a successful outcome of this global gathering of regulators, which is attended by around 700 participants every year. I also conceived and designed the regional Centres of Excellence. We started with a few centres in Africa and the Americas, and then expanded to cover all six regions. This resulted in a highly specialized capacity‑building network operating on a cost‑recovery basis. To date, the Centres of Excellence have trained thousands of people throughout the world on topics that span from regulation to satellite communications and IP networks. Throughout my 30 year career in ITU, I have had the opportunity to develop and implement strategic policies, regulations and initiatives, in which a key success factor was my ability to foster collaboration and build consensus amongst all stakeholders involved. I have worked hand-in-hand with governments, regulators, operators and other stakeholders in order to guide the collective effort towards achieving a common goal by building on the strength of each and every player. Examples of the results of such processes in which I have been involved are: the updated ITU Radio Regulations adopted by the World Radiocommunication Conference, the regulatory best practice guidelines agreed by the Global Symposium for Regulators, the implementation of the ITU Regional Initiatives agreed by the World Telecommunication Development Conference, and the creation of the ITU Centres of Excellence. Having served ITU for over 30 years, I have gained comprehensive knowledge of the Union and broad experience in the telecommunication sector. My experience in the ITU Radiocommunication Bureau, the ITU Telecommunication Development Bureau, and the ITU Regional Offices, grants me a deep understanding of the rapidly changing telecommunication/ICT environment and its challenges, as well as the needs and priorities of the ITU membership. Moreover, I have the necessary leadership and managerial skills to take on the position of Director of the ITU Radiocommunication Bureau, and to deliver on the expectations of the ITU Member States, Sector Members and Academia. Mario Maniewicz, proir to announcing his candidacy, was the Deputy Director of the ITU Radiocommunication Bureau. Learn more about Mr. Maniewicz and the other candidates for ITU’s top posts on the Candidates page of the PP-18 website.